Basil Restaurant and Pizzeria is now closed. The restaurant shut its doors in spring 2017. A new restaurant, Cosa Pizzeria & Restaurant opened in the space in May 2017. A great chef is critical to the success of a restaurant. The chef is more than just a cook, he is the leader in the kitchen, and is the one responsible for sending the customers home happy. Berks County has many great chefs (just check out either of the two Iron Chef competitions at Wilson or Hamburg), many of them classically trained in the Old World style. One such chef is Chef Gianluca Longo, who created Basil Restaurant and Pizzeria in Fritztown. 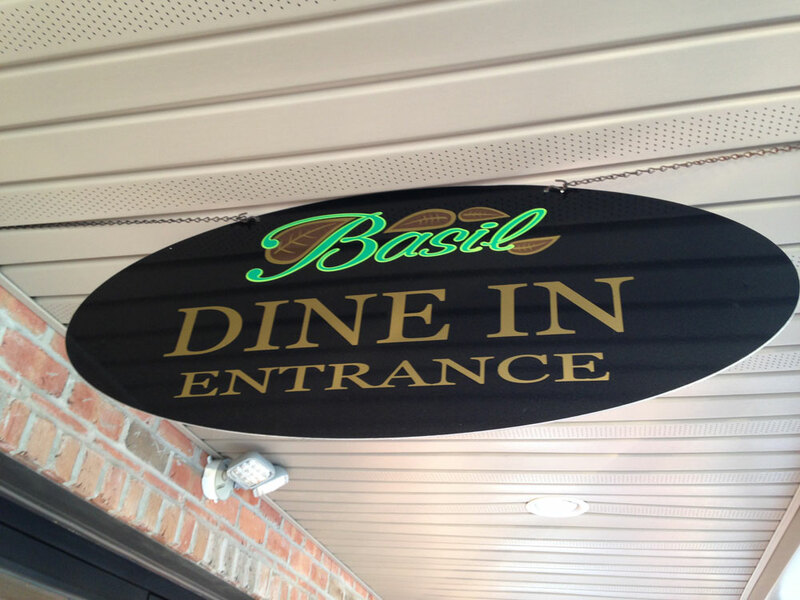 Basil is hidden in a non-descript building that looks more like a warehouse than a restaurant. Even with the roadside sign, many people probably drive by without a second glance. Inside, the restaurant is full of character. It is split into two rooms: the pizzeria and the dining room. The pizzeria is bright, open and filled with families. The dining room has softer light, most of it coming from the lamps hanging on the burgundy walls. A never-ending waterfall cascades along the length of the rear wall. In the back of the menu is a welcome letter from chef Longo where he tells the story of his climb through the culinary ranks, from his start as a dishwasher at age 11 in Catanzaro, Italy, through jobs in Milan and Miami, to the opening of Basil, his first restaurant. The dining room menu is filled with Italian favorites, starting with pizza—choose from 14 specialty pies or create your own with more than 25 toppings—and continuing through a variety of chicken, seafood, beef and veal entrees. Basil’s menu also includes a lengthy list of homemade pasta dishes, which is where my eyes started and ended. I wanted to try angolotti, a ravioli dish filled with beef and prosciutto with bescaimella sauce, but was disappointed to learn that it was removed from the menu a month ago. 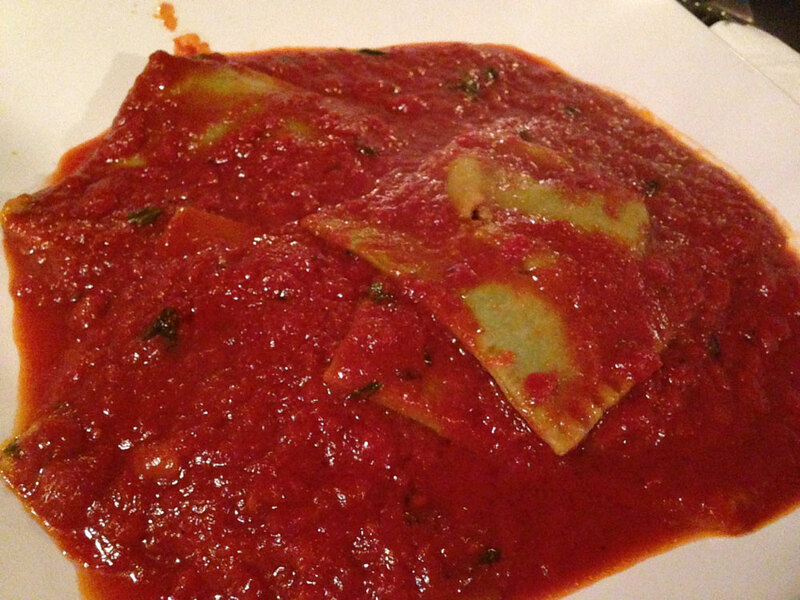 So in its place, I settled on spinach ravioli. I was expecting traditional ravioli filled with spinach, but was pleasantly surprised to find that it was baked into the oversized pasta squares, evident by the green hue that stuck out beneath the sea of red. Of course with a name like basil, the herb is going to make an appearance in every dish. It was very much a part of the sauce, giving it a distinct sweetness. I wouldn’t have minded a cup of it on the side to drink. Each bite made me want more, and somehow I managed to pack away the whole dish. 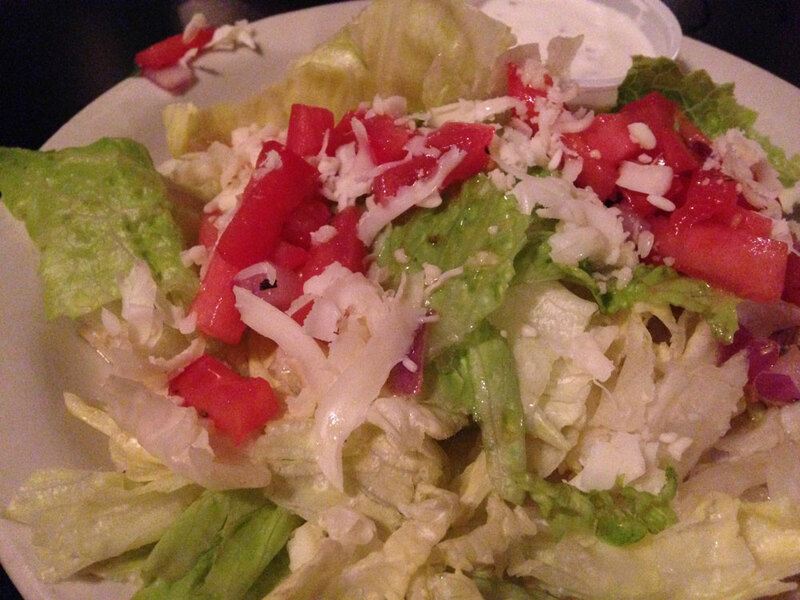 Basil (the herb) even starred in the garden salad, where it was mixed with the sliced tomatoes for a delicious appetizer. 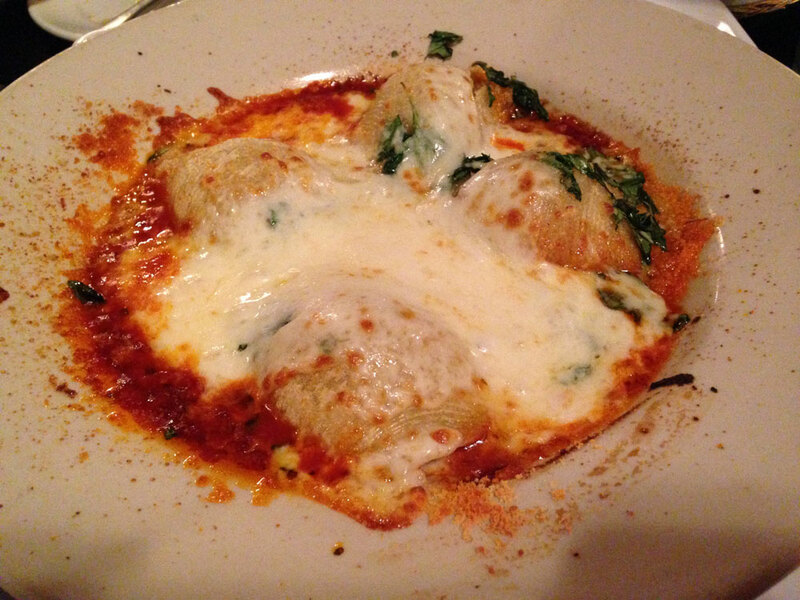 The stuffed shells, which Julie also ordered off the homemade pasta menu, were covered in marinara sauce and melted provolone cheese. A mix of beef and ricotta filled each one. The sauce on her dish differed from my own, with a deeper flavor, one that tasted more like sun-dried tomatoes than those that are fresh-picked. It was a perfect match for the dish. On this night, we also had Julie’s parents with us. Both of them were also very happy with their meals, even my father-in-law, who was still raving about his veal Parmesan the next day. For the four of us, our total came in at just under $70, which seemed very reasonable knowing that I was the only one to clean the plate so we were taking three more meals home with us. In my mind, there is no doubt that Chef Longo is a success.